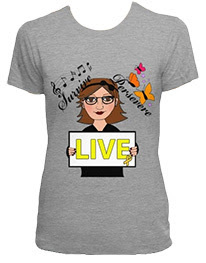 Meant to Live: Do you feel like you're giving away a piece of yourself to each person you date? Do you feel like you're giving away a piece of yourself to each person you date? When I was younger, I had this naïve view that I would marry my first boyfriend. 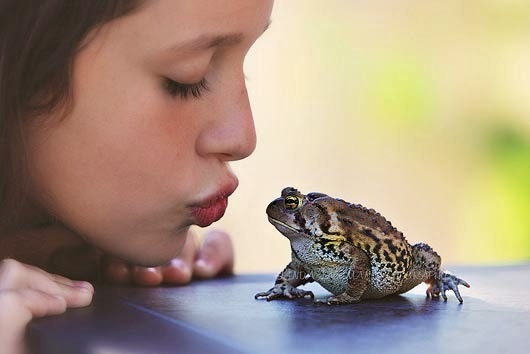 I didn't want to kiss a bunch of "toads" until I found the person I was meant to be with. I’m not sure if there’s an actual term for this phobia, but I was terrified of getting my heart broken. So I was very cautious. I obviously didn’t marry my first boyfriend. Or my second. Or my third. Or my fourth. Almost 10 years after graduation from high school, and I’ve lost count of the number of men I’ve gone out on dates with. Obviously, that “fairy tale” I had when I was young didn’t come true. I know now, even more, why I felt this way when I was younger. Because each time I’ve let someone into my life, it felt like he took a piece of me with him when he left. In relationships, people give so much of themselves, both emotionally and physically. You spend so much time with that person, tell him or her your secrets. And then you both move on. After all you went through together, it’s like you’re strangers. Sometimes, when I’m alone, I will remember a random fact about a guy I once dated who I haven’t heard from in months or years. And it always makes me so sad. Since my last break-up, I’ve gone on a record number of dates. And after about eight months of this constant cycle of men coming into my life and then leaving, I feel empty. I have learned a lot in the last decade, but maybe I need to take a page from the book of my younger self. I think, in today's culture, it’s easy to feel like we need a significant other to be worthwhile. So much importance is put on this. And so we waste time with people we really never should have been with in the first place just so we don’t feel alone. But I’m sick of losing parts of myself to person after person. I’m sick of wasting time learning about others, opening myself up and sharing secrets with those who, in the long run, really don’t care. There’s nothing wrong with being alone. And, for those who aren’t dating anyone, you need to stop letting society pressure you into thinking that you are nobody until you have a significant other. I know I need to take my own advice when it comes to this. For me, for the first time in a long time, I’m going to spend time “dating” myself. After all, my relationship with myself is one that I know is going to last the rest of my life. Yet, this is the relationship I spend the least amount of time fostering. Instead of thinking about what’s best for me, I have been thinking about what’s best for men who, more often than not, I only end up talking to for a couple weeks before I never see them again. In two weeks, I will be 27. And I need to spend time relearning who I am – finding out what my own dreams are, what I really want in my life and rediscovering my own worth. I need to stop giving away pieces of myself. While it is good to be brave and throw caution to the wind, sometimes it is good to keep your heart guarded. Sometimes, there’s nothing wrong with being cautious, being a little bit selfish, and saving love for yourself instead of giving it away so easily to people who don’t deserve it.